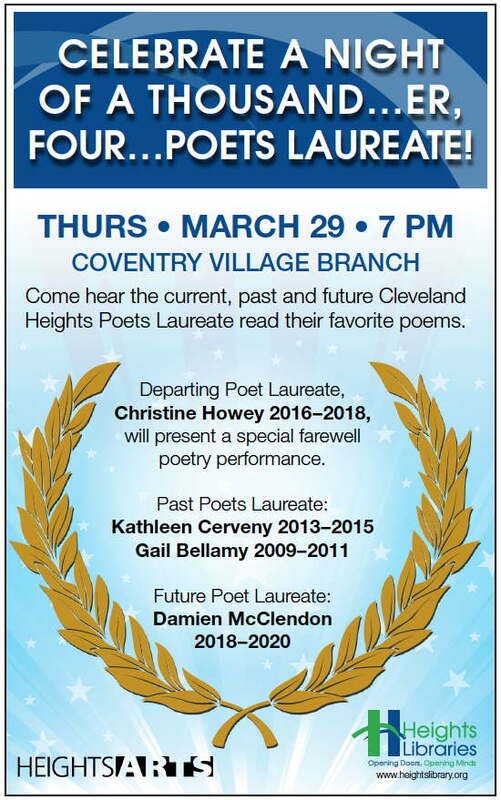 Come and hear Cleveland Heights Poets Laureate—past, present and future—read some of their favorite poems! It’s a celebration of words and those who love them. And a big thank you to Cleveland Heights and Heights Arts for even having a Poet Laureate!Hope to see you there! And please pass this along to anyone who might be interested. The William N. Skirball Writers' Center at the Cuyahoga County Public Library will also, once again, be celebrating National Poetry Month in April with their Read +Write: 30 Days of Poetry feature. Each day in April will have a poem and info on a different North Eastern Ohio poet, plus a poem-writing prompt every day of the month. If you have not yet signed up to receive Read+Write Poetry daily in your email during April... why not? Just click here! Ohio has a new poet laureate: Dave Lucas of Cleveland Heights has been named Ohio’s poet laureate. 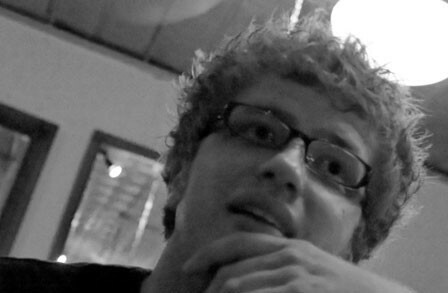 Lucas is Ohio’s second-ever poet laureate, succeeding Amit Majmudar, a Cleveland native and nuclear radiologist in the Columbus area. Steve Smith pointed me to this one: an interview with Ed Sanders about legendary Cleveland poet d.a. levy.